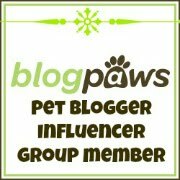 Last week I listened to this podcast, an episode about leash reactivity on The Great Dog Adventure. It became an instant favorite, because along with some great tips for training and management, trainer Fernando Camacho said something so inspiring, so freeing. He said "it might never get better." You might think I'm crazy for finding that encouraging, but accepting Ruby for who she is and what that means for our life together has been the single most helpful thing in dealing with her reactivity. In the early days I was so focused on "fixing it" that every walk was an exercise in frustration and disappointment. Every time she got to practice the behavior I was working so hard to reverse was another drop in the failure bucket, along with many tears. If I was expecting linear progress, I was stuck in a discouraging two-step. When you live in the suburbs with an extremely hyper-vigilant terrier who is triggered by pretty much every thing that moves, it isn't an exaggeration to say that effective counter-conditioning/desensitization setups are impossible. There is the pack of skateboarders that clatter past just as you open the back gate. There is the off-leash apricot toy poodle that chases you barking while a small child tries to herd it back inside with a tennis racket (this actually happened to us on Sunday.) There is that evening when you narrowly avoid the woman walking two Yorkies only to round the corner to see a family with a stroller and two labs headed your way. Ruby barks and lunges and spins, and we make our escape as quickly as possible. If things get really hairy, I can thankfully pick her up. I've (mostly) stopped caring what other people think. Do you know what I've noticed in my life with my reactive dog? There are just as many people out there dodging behind hedges and making emergency U-turns with their dogs as not. I sometimes wish there were some secret hand signal of solidarity we could flash one another, if we had a free hand. In one and a half years together, I've learned what works for us...and what doesn't. I've acknowledged our limitations. I celebrate small victories, such as Ruby's ability to sit and watch while a car goes by, or politely greet a neighbor. I know the best times and routes to walk, and I've even found some places we can go hiking with a relatively low chance of mishap. I'm not saying to give up, to stop training or stop goal-setting, but I am inviting you to give yourself and your dog a break. To appreciate your challenging dog's good qualities, to realize there might be a reason you were brought together. To re-evaluate the changes you can explore to make your lives easier, to find your dog's hidden talents, to accept the things you might never do and say "so what." Ive been coming to this realization myself... Stella is just the way she is. Thank you for this. "I sometimes wish there were some secret hand signal of solidarity we could flash one another, if we had a free hand. " love this, and its so true. Id love to actually sit and chat with these people if our dogs didnt appear to want to kill eachother!. ha! I had never thought about it like that. I believe my little guy is improving, but I don't think he'll really ever be laid back and relaxed like my other dog. Even if we can eliminate the fear aspects, I think he actually enjoys barking his head off sometimes! Whatever the future may hold, he's still a super affectionate dog and I'm very happy to have him. Ruby is just a dream little dog in the house. When I think about all the other issues that are possible (separation anxiety being the toughest, I think) - I feel lucky that having to stay extra-alert on our walks is my biggest problem. Improvement is super, and often very possible. Ruby's reactivity is quite extreme and it was a huge weight off my shoulders to admit that small victories were going to be big victories for us. It's also really nice to have my easygoing island girl who I CAN take anywhere without a worry. What a relief to hear that. It's the journey, right? My relationship with our reactive Luke brings us closer every day. But there are times I get very discouraged. I'll never give up on him but how nice to hear that I don't have to let every setback feel like a failure. He is such a good, loving dog, and I just wish everyone could see that! Wonderful post. You are absolutely right. I have a friend with a reactive dog and the other day I told her that he might never change, and that's okay. Glad I wasn't too far off. Lovely post! Accepting the issues and not getting unbelievably frustrated was one of the biggest challenges. Sometimes going for a walk isn't as relaxing as I'd like it to be, but it's so rewarding when Luna handles an off-leash dog like a CHAMP! 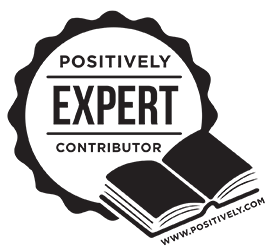 Accentuate the positive and eliminate the negative self-talk (not the negative, because that's what will drive a person completely batsh*t). Who the heck made up that saying anyway? Nice post! This is definitely a lesson I learned with Kaeto. It was a long process to get there, but it really helped me accept Kaeto's setbacks. Anyone can truly take this post to heart. I somehow learned this same lesson along the way with Shyla. When I first met her, I wanted to "fix" everything as fast as we could. I set goals and deadlines, etc. I finally figured out that my intensity about trying to fix everything was counterproductive. When I let go of that attitude and started just enjoying life with her, things magically started to go in a better direction. I agree about wishing that we could could all give each other a wave of solidarity. 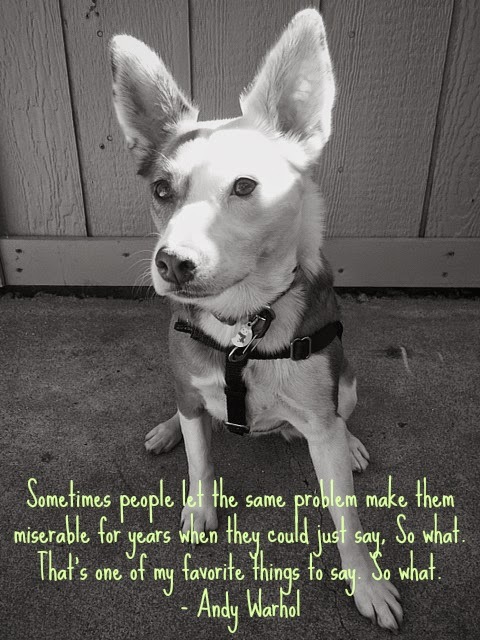 Shyla's behavioral response to triggers is different from Ruby's, the challenges are similar. It's great to hear someone say out loud what I've come to believe. Great post!!!! I too have a reactive boy, a barker and spinner. I'm still working on accepting that he might be like this forever. I'm still hoping he'd mellow out a bit, wishing he'd ignore the dogs, he doesn't have to like them! I have two rescues who have very different reactive behaviors. My Franco had a very rough start so is fearful of the unknown. When I first got him he was afraid of Shadows or anything new on our walks. He would bark & growl. I have used all sorts of distractions & reinforcers to keep him from going over threshold some are successful & some are not. I have learned to manage the behaviors & conquer some. People who see me probably think I am nuts but that's life with an reactive dog. He is now much better but it took a lot of frustrating moments, blood sweat & tears. I have accepted that i will not be able to conquer all his fears & i am happy as long as he is able to have a good quality of life. He deserves it. I have learned to celebrates the small victories & accept what he is, a sweetheart that takes a long time to trust those he does not know. He can run free in a open area with his ball or toy & ignore distractions. I walk him everyday with & without my other dog, Ringo Star. They are all special some a little more than others, hee hee. 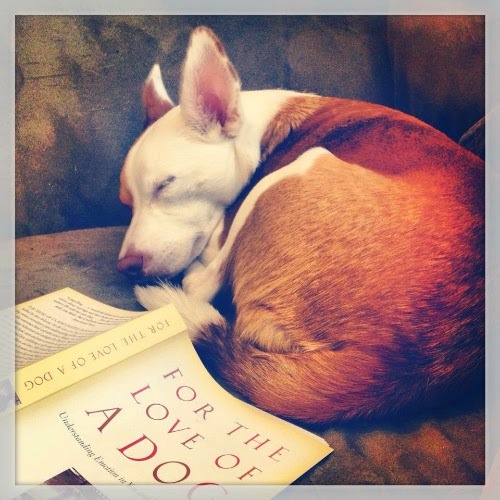 This is such an important topic and one near and dear to my dog lover's heart. To me it is so simple ... My dogs love me just the way that I am so I love them just the way they are. When dog training turns to constant frustration it means it's time to train the human-Me! We've come sooo far with Ziva's reactivity that when she occasionally lashes out I find myself embarrassed and frustrated all over again. It seems that her reactivity triggers seem to do with her being on leash now... It's good to know that their are other people out there struggling with the same issues. :-) I'll never give up hope! Thanks for the encouragement.